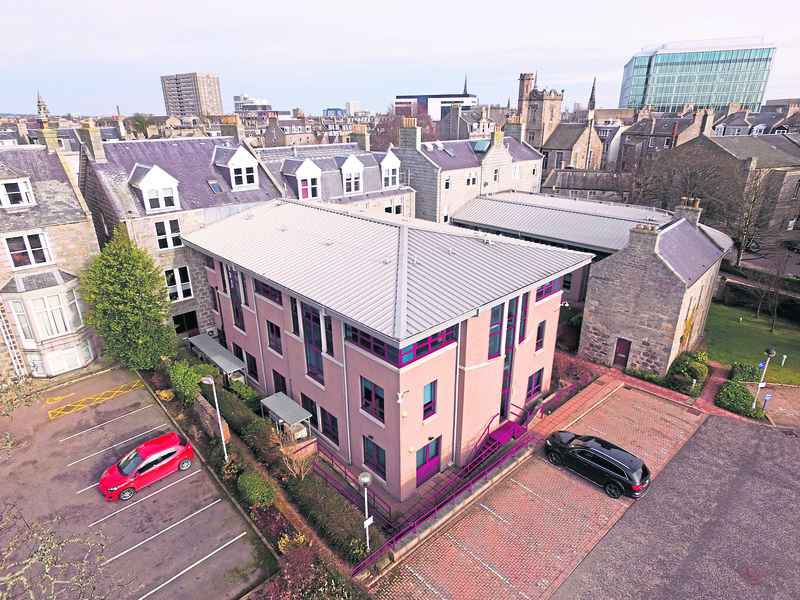 Premium office space used by banks in the west end of Aberdeen is being transformed into suites that will be ready for new tenants from June. Developer Carden Place Partnership (CPP) is creating The Hive at 1-5 Albyn Place. Royal Bank of Scotland has already moved part of its Aberdeen operations from 1 Albyn Place to the new Marischal Square development. The Hive will be a multi-let facility – home to more than 300 employees at full occupancy – across three buildings which will offer suites ranging from 2,000 to 33,000sq ft.
Chris Grinyer, managing partner at letting agent Shepherd Chartered Surveyors, said: “The address is currently one of the most sought-after buildings within Aberdeen. Mr Grinyer said the 85 car parking spaces were “unheard of within the city centre”, adding: “This has been a massive plus point for all interested parties. Interest to date has been from legal, oil and gas, and finance businesses seeking flexible office space close to the city centre. CPP director and property investor Jonathan Harper said: “This address has always acted as a benchmark for the commercial property market in Aberdeen.